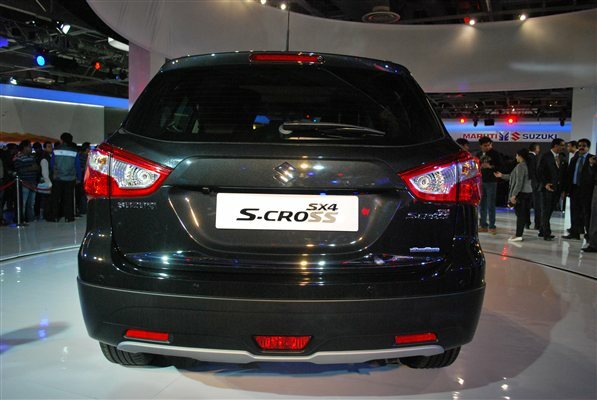 India’s largest car-maker, Maruti Suzuki is all set to bring S-Cross. The car is going to make its first appearance on 7th of June at IIFA (International Indian Film Academy Awards) which is scheduled to happen in Malaysia. The official launch of Maruti Suzuki S-Cross is expected to be during the end of the year, the car shall be called Across in the India. The S-Cross from Maruti Suzuki marks the company’s entry into fast-growing crossover car segment. Maruti Suzuki S-cross is expected to be powered by 1.6-litre, 4-cylinder diesel engine. Just like the 1.3-litre diesel version of other Maruti Suzuki car, the upcoming crossover car shall be sourced from Fiat. New S-cross generates a maximum power of 118bhp and a peak torque of 32kgm. The S-cross engine would be mated to a 6-speed manual gearbox. When it comes to the design, Maruti Suzuki S-Cross is likely to get typical off-roader elements like black cladding , high ground clearance and metal scuff plates at the front and rear. One could expect quality levels of equipment in the S-cross, daytime running lights and alloy wheels could be present in the top-trim models. When S-Cross is launched, the car shall take on rivals like Renault Duster as well as Nissan Terrano.